This week in KeratoScoop: Dry Eye Awareness Month rapidly approaching! Rebecca's NC trip. PROSE network news. Staff corner: Aidan Moore. Dry Eye 101. Sharing prescription drugs is illegal. 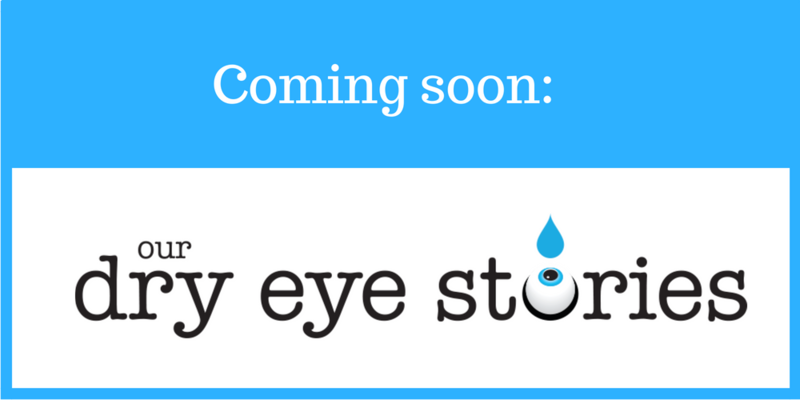 Dry Eye Stories site launching July 1st - get ready to share your story! Photophobia with closed eyes. Shop news. All about dry eye reading glasses. 10% off orders of $50 and more through 6/30. Ziena Nereus deals. I had an absolutely lovely time at NKCF's most recent Keratoconus Family Symposium last weekend. These events are so well done, and provide so much practical information for patients in addition to the opportunity to meet and talk with fellow patients (or parent & grandparents as is often the case). Here's my blog post with more details for any keratoconus patients who are interested. I combined that trip with visiting one of my most favoritest people in the world, an eye doctor I've been friends with ever since shortly after my LASIK mishap in 2001 - but had not actually seen in, well, I think we finally (albeit incredulously) agreed, about 12 years. Sandra Brown is a truly extraordinary human, to say nothing of doctor. (Before you ask, no, she is not a dry eye specialist - she's a pediatric ophthalmologist. Our loss, but huge gain to the next generation and their parents.) Last time we met, she was giving a presentation that none of us will never forget on "How to get the very most from an appointment with your eye doctor" - prepared specifically for dry eye patients, at a special dry eye event in Tampa, FL back in 2006. An hour's conversation with Dr Brown can contain a year's worth of ideas - my favorite type! But my most important takeaway from our conversations on this trip was confirmation of a trend I've been concerned about for a long time: Screens and kids and what it's doing to their ocular surfaces. Really... sigh. So much for dry eye being an old people's disease, or a menopausal women's disease. Stay tuned. Much more to come on this subject. 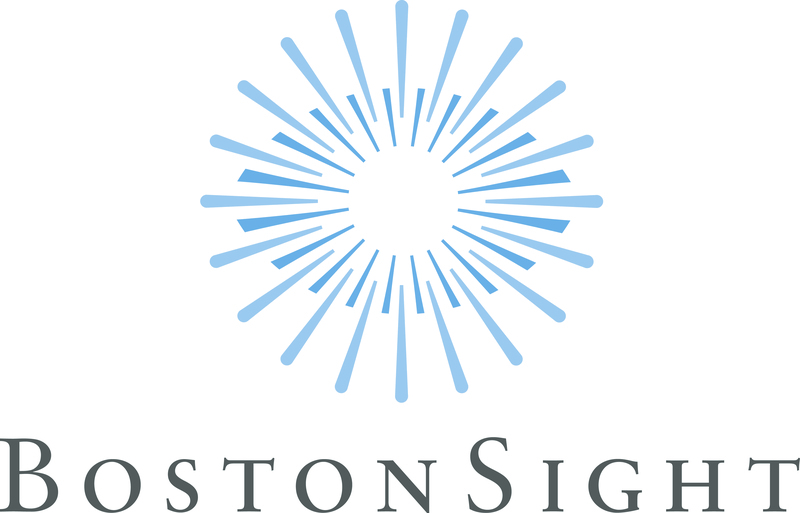 KeratoScoop is pleased to host regular updates from our friends at BostonSight, home to PROSE and BostonSightScleral. BostonSight is pleased to introduce James Li, OD as the new PROSE Clinical Fellow at the University of California, San Francisco (UCSF). Dr. Li received his undergraduate degree in Biochemistry and Molecular Biology from the University of California at Berkeley and his Doctor of Optometry degree from the State University of New York College of Optometry. Dr. Li completed his fellowship in cornea and specialty contact lenses at SUNY College of Optometry, where he trained with the faculty at SUNY and with a prominent refractive surgeon practicing in New York City. A member of the American Optometric Association, American Academy of Optometry, and New York State Optometric Association, he has also given continuing education lectures to optometrists about fitting specialty contact lenses. To schedule appointments, please call 415-353-2177. At Bascom Palmer, Dr. Priscilla Sotomayor will be assisting existing patients 2-times per month until a new clinician is hired and trained. Just a reminder: you’re always welcome to order over the phone or schedule a consultation with Rebecca! Thanks for everyone’s patience as I’ve been learning the ropes, and thanks for your understanding when I can’t pick up the phone, when products are unavailable, or when we make mistakes. So keep the calls coming! There are so many special things I can do for you over the phone that just aren’t as intuitive on the computer. 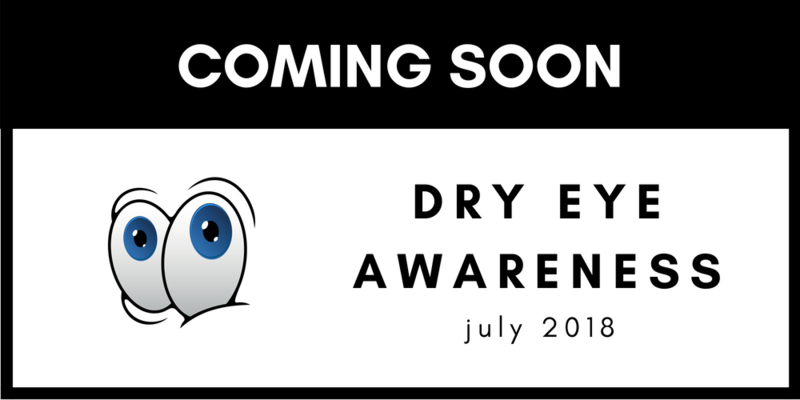 I’m also really excited to kick off Dry Eye Awareness month with a project Rebecca and I have been working on, dryeyestories.com. Thank you to everyone who volunteered to share their stories last week. If you haven’t heard of Our Dry Eye Stories, check out the website preview page and think about submitting a piece on your own personal dry eye journey. Sharing prescription drugs is illegal. And that doesn't just apply to drugs that are subject to abuse... it's ALL prescription drugs. Yes, that means Restasis, Xiidra and so on. The reason I bring this up is that people are periodically either soliciting or offering their excess Restasis or Xiidra or whatever, in our Facebook groups. I know they mean well. But it's a conversation we always have to shut down as soon as it starts, so I thought I'd offer an explanation of why. I've spoken with two people in the past month whose eyes were extremely sensitive to light even with their eyes closed. I can't remember who the first one was, but the second one was hoping to get in touch with the first and swap notes! If that sounds like you, and you're interested, please reach out! Thanks. We're loving the ability to text with customers! 877-693-7939. Can't promise immediate replies 24/7, but, well, we do try! This method of communication is best suited to relatively quick questions (can you ship my order today? when will it be delivered? how much would it cost to overnight something? etc) than involved discussions. What this means for you? For most of you, nothing at all. However, a handful of you who returned items during a certain window have received checks instead of credit card refunds when you returned something. Some others of you who normally pay by PayPal may have noticed... before we did, sad to say... that PayPal was absent without leave for some days. It is back and fully functional now. OPTION 1: Ready-made bifocals: All of the Ziena, and many of the 7Eye Airshield, frames are available with +1.5, +2.0 and +2.5 readers, in both grey and clear lenses. OPTION 2: Whole-lens plus readers (non-prescription). The only way to provide this is having them made for you at the, the same way we would do for prescription glasses. The difference is, if you are getting standard strength readers (same on both sides) you do not need a doctor's prescription in order for us to submit the order to the lab, although we really do want the PD if at all possible! So you can order whole-lens plus readers in your dry eye glasses, either over the phone or online, and we'll confirm with you exactly what you need. If you need anything other than standard readers, we would need a current prescription (within 1 year). As always, let us know if you have any questions! Whirlwind of a week trying to keep up with business as usual, which, this year, has been enough to contend with, while preparing for Dry Eye Awareness Month. We have GREAT things in store for you for all of July and we're all really excited! Speaking of "we", I just have to say, I have the world's greatest staff, period. And I'm not just buttering them up after the lovely lunch they surprised me with the other day at our Relaxed Staff Meeting - I really do mean it. You're going to be seeing more of them in the newsletter, starting with Aidan today!